The main focus of the CLA-LA internship program is education. By teaching students the practical versus theoretical practice of law, they are given the skills needed to become successful attorneys and future leaders. CLA-LA law clerks are chosen for their excellent legal skills and great compassion for those in need. 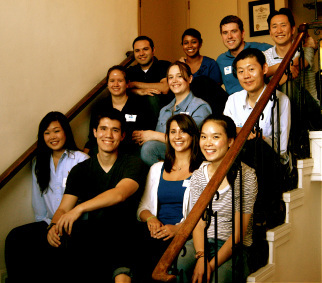 CLA-LA has accepted interns from the following law schools and undergraduate schools in the past several years: USC Gould School of Law, UCLA School of Law, Pepperdine University School of Law, Loyola Law School, Southwestern School of Law, Chapman School of Law, University of Chicago School of Law, UC-Irvine School of Law, Regent School of Law, Golden Gate University School of Law, University of Southern California, Pepperdine University, and University of Washington School of Law, to name a few. CLA-LA offers various internship and volunteer opportunities throughout the year to current law students, law school graduates, graduate students, undergraduate students, young practicing attorneys, and high school students. Our 2018 Internship Description can be downloaded here.